Ettiëne was invited to Necker Island for a 5 day Oxford meets Necker think tank, where the top professors of Oxford University together with 20 influential entrepreneurs all over the world came together to discuss climate change and how they as influential individuals can bring change, setting examples of how to build a greener environment. “People with money aren’t always influential, but influential people will always have money,” says Pretorius. On the 14th March 2014, Ettiëne woke up to a sunny morning and stood on the beach looking out towards the direction he would have to swim whilst the rest of the crew got ready to accompany him on paddle boards, power and sail boats. It could potentially be dangerous swimming in the channel as boats are occasionally passing through and wouldn’t necessarily notice a swimmer free styling through the surface of the ocean. For Pretorius the 5km swim was exhilarating and rewarding knowing the purpose behind the challenge. After the swim, Sir Richard Branson together with Ettiëne and the group, had a group discussion about Global Warming where after they explored Moskito before enjoying lunch and a swim in the sea. 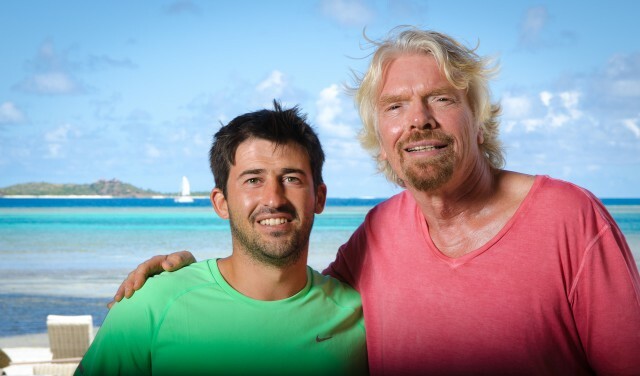 Necker Island and Moskito Island are both owned by Sir Richard Branson. Moskito Island is going to be developed into a premier ecotourism resort and Necker Island is going to continue to reduce environmental impact, setting a great example for other island communities worldwide. To travel to Necker Island one would need to take a connecting flight to the British Virgin Isles and then a short boat trip to land on the shores of the picturesque tropical island in the Caribbean. “Meeting with Sir Richard Branson was one thing, but knowing that this individual has changed the dynamics of entrepreneurship across the globe, living with one passion and goal in mind and changing the world, is a feeling of excitement, humbleness and growth. I am thrilled to have taken the step forward in doing something for a greater purpose and creating awareness for two causes I am personally passionate about,” says Ettiëne. 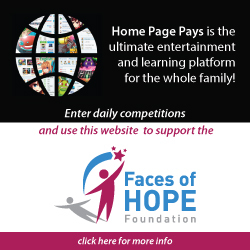 To help support Faces of Hope, SMS the word ‘Hope’ to 39703. SMS costs R30 per SMS Once-Off. Free SMS’s do not apply. You will need to confirm you are the bill payer or have the bill payer’s permission. T’s & C’s apply. To find out more about Ettiëne Pretorius visit his official webpage http://www.ettienepretorius.co.za. 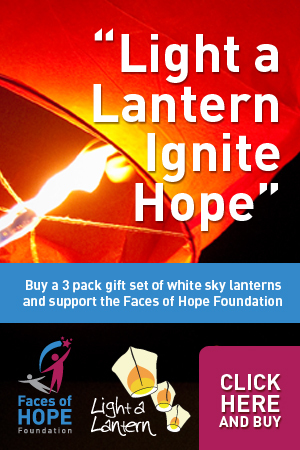 ← Have the best flying experience with Virgin Atlantic.The preferred choice of airline of the Faces of Hope Foundation.